It's not a new term, but it was new to me - Think-Alouds. It's just like it sounds - "think aloud." It was first used by an engineer with IBM to think through the steps the user would take to use what they were building giving insight into using the product. In education it's a strategy that teachers and speech language pathologists can and do use to give students insight into how we learn and know a vocabulary word at a higher level of understanding (metacognitive level). The Think-Aloud procedure gives students information about what we find interesting and important about a word. It helps them see how we think through the process of figuring out the meaning of a word. I think many of us use this technique with our students, but didn't always know the name for it. An example of a Think-Aloud would go something like this. We are reading Harper Lee's To Kill a Mockingbird together when we come across the word imprudent when describing one of Atticus' first clients. "...were imprudent enough to do it in the presence of three witnesses..."
Me: "Have you ever heard the word prudent? Do you know what it means?" Student: "Yes, I've heard the word, but I don't know what it means." Me: "Prudent describes doing something good for yourself, like stretching before you exercise, or drinking water instead of soda. Prudent would be choosing a healthy snack instead of a donut. Can you think of an example of prudent when you are listening to your music that is too loud?" Student: "I could turn it down, so I don't hurt my ears." Me: "Right. The prudent thing to do would be to protect your hearing by turning your music down when you are listening with your earbuds. This passage uses the word imprudent. What does "im" do to the meaning. In this case "im" means "not." So imprudent means..."
Student: "...not prudent. So in To Kill a Mockingbird they did something that was not good for them?" Me: "Yes. What is this passage about? What did the Haverfords do in this passage that got them in trouble?" Student: "They sent a blacksmith to hurt someone because of a horse and it got them in trouble." Asking questions and thinking through the process aloud with your student helps them learn how to do the same as they are reading and encountering new vocabulary. 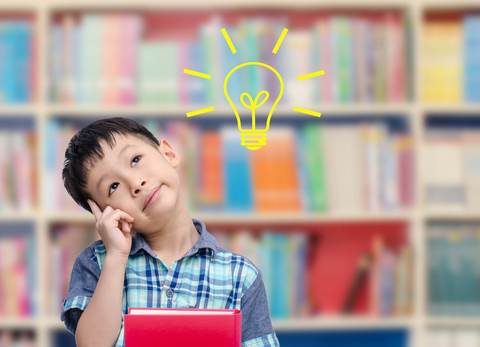 Using think-alouds can help students tackle new vocabulary to boost understanding. Research has shown the more engaged we are with students while learning vocabulary, the higher their level of understanding.